The American Cockroach is particularly found in the southern United States and is the largest species of the common cockroach. 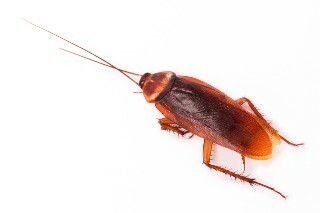 In residential areas, these cockroaches live in basements and sewers and may move outdoors into yards during warm weather. It is a scavenger that feeds on decaying organic matter and a variety of other foods. Oriental Cockroaches are often called “waterbugs” since they prefer dark, moist places. They can be found around decaying organic matter, and in sewers, rains, damp basements, porches, and other damp locations. They thrive in warm places and a relatively high humidity.